inch hosting, a professional web design company. Built on our cloud platform, we offer web hosting, domain names, web site and email address services. Our affordable hosting makes us the best place to host your business or personal web site. We have a great deal of experince with a variety of solutions for eCommerce, from OSCommerce and Zen Cart to full blown Magento installations. Talk to us now to find out how we can help you move your shop online. Checkout our websites or hosting packages. If you are new to websites why not read our beginner's guide. This will help you to understand what is involved and how to get started. We have a range of hosting packages from simple shared hosting to the highest spec dedicated servers. If you are unsure where to start call us now to discuss your requirements. We're always happy to have a friendly chat about your needs and to point you in the right direction. New Packages Now with Added Features and Value starting from just £66! 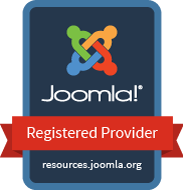 The Joomla!® name is used under a limited license from Open Source Matters in the United States and other countries. inch communications ltd is not affiliated with or endorsed by Open Source Matters or the Joomla! Project.